There’s nothing the staff at OnlineMBAPage.com loves more than pinpointing an MBA that offers a great value, except maybe finding one that is really effective at delivering business curriculum 100% online. To find a program that sets the bar high enough to get our attention in both categories is virtually unheard of, but that’s exactly what Stanislaus State managed to do with its Online MBA. Business students want to know they’re earning a top-quality, fully-accredited MBA at a competitive price, and if the program is offered completely online with no on-site requirements, that’s even better. 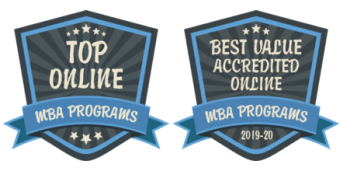 This makes the Stanislaus State OMBA one of our favorite programs to recommend, and one that easily earns its place among the Top 100% Online AACSB-Accredited MBAs and the Best Value Online MBAs for 2019-20.